Maintaining your air conditioning system in good working order is crucial to your comfort. Houston Admiral has provided quality air conditioning repair Houston services to our customers for their homes and businesses. 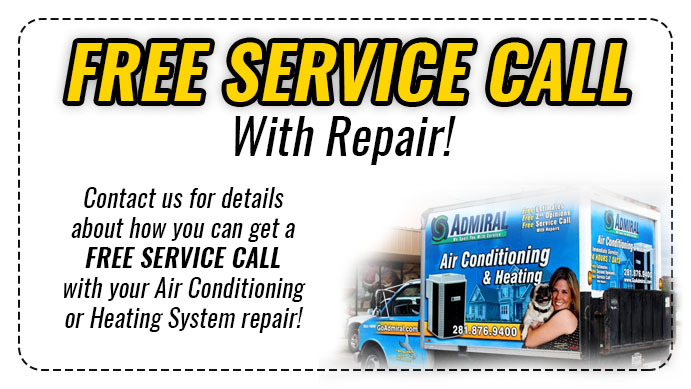 For air conditioning repair Houston and maintenance, contact the experience technicians at Houston Admiral. We are available 24/7 for emergency air conditioning repair because we understand that things can unexpectedly break down when you least expect it. We offer 100% Satisfaction Guarantee along with offering our Lifetime Warranty so that you won’t have to worry about top of the line quality work. Whether your air conditioning system not cooling your home enough or is starting to make a strange noise, our expert air conditioning repair Houston specialists can quickly get to your home air conditioning system repaired as soon as possible. Our company is committed to our customers’ satisfaction and the top level of quality that we deliver. We realize and understand how important your comfort is. When air conditioning repair service Houston professionals of Houston Admiral arrive at your home, our technicians meticulously inspect the air conditioning unit to locate the source of the what wrong with your system. Our air conditioning repair service Houston technicians will troubleshoot this complex machine and figure out a number of things that can happen to create this issue. Air conditioning repair or replacement can range from inexpensive or expensive depending on what going on with your unit. Our air conditioning repair service Houston specialists will provide an accurate quote on the recommended course of repair. When It’s scorching hot outside our Emergency air conditioning repair service Houston Will Keep You Cool Inside! Having dependable air conditioning repair service Houston technicians on hot, humid Texas days are crucial. 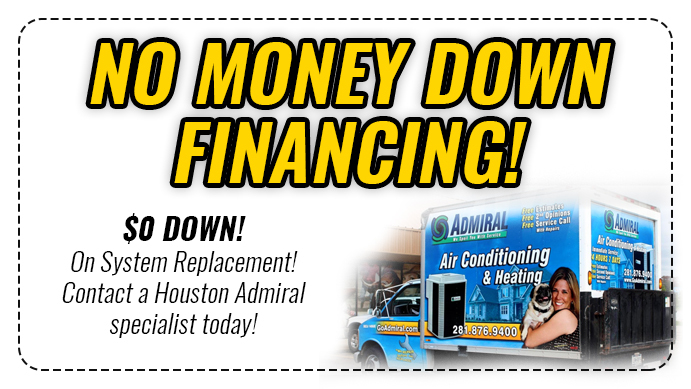 When your AC breaks down, you can rely on Houston Admiral to solve your air conditioning repair service Houston needs immediately. An emergency air conditioning repair service Houston technicians will arrive at your home quickly with the knowledge and tools to fix your air conditioner system right away. Our air conditioning repair service Houston technicians are trained to service all makes and models.